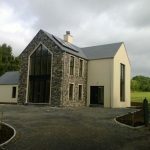 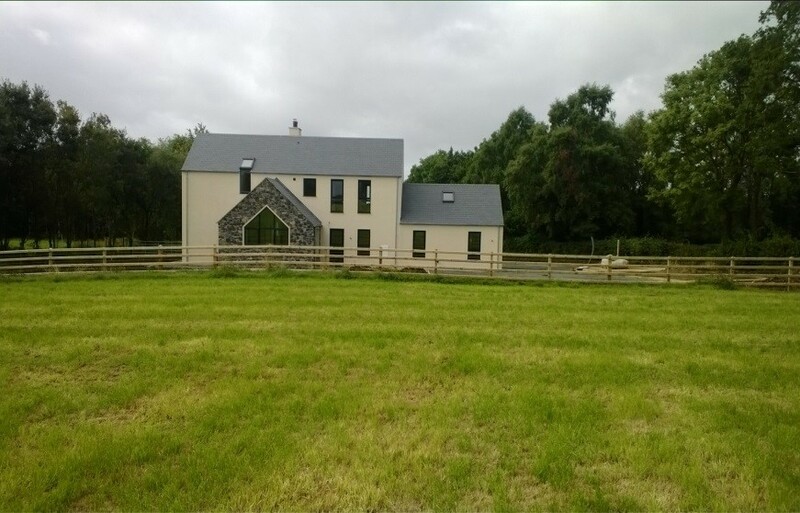 This project consisted of a new build two storey 4 bedroom family dwelling. 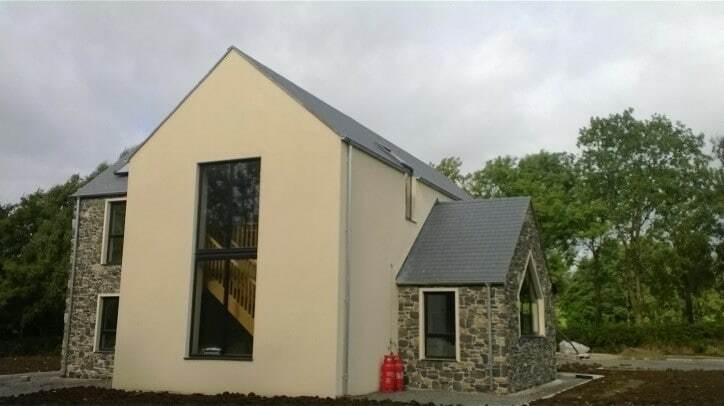 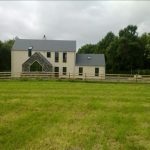 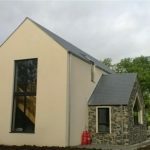 Specification included natural slate rood, Eldorado hillstone cladding to gables, triple glazed aluminium windows, 3 panel in-roof solar panels. 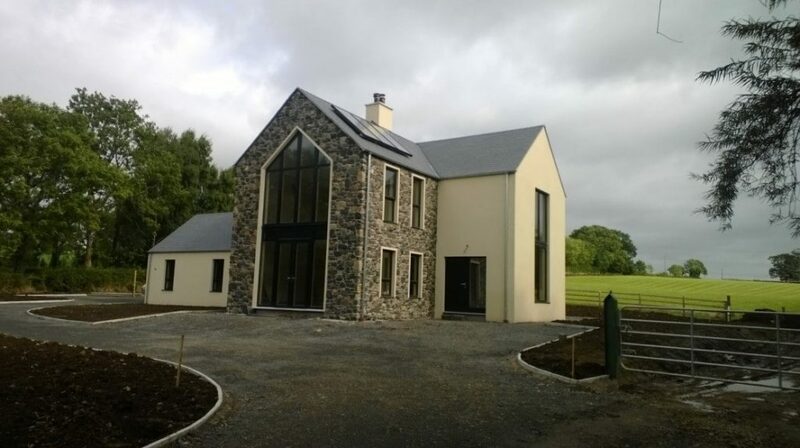 Apex arched feature window.